Implementing the newly announced scheme for small farmers — Pradhan Mantri Kisan Samman Nidhi (PM-KISAN) — may face hurdles owing to land records not being updated and digitised in many states. The letter by Agriculture Secretary Sanjay Agarwal after the Budget announcement on Friday had added to the confusion. The letter said changes made in land records after the cut-off date, February 1, 2019, would not be considered for determining the eligibility for benefit for the next five years, except on account of succession.. 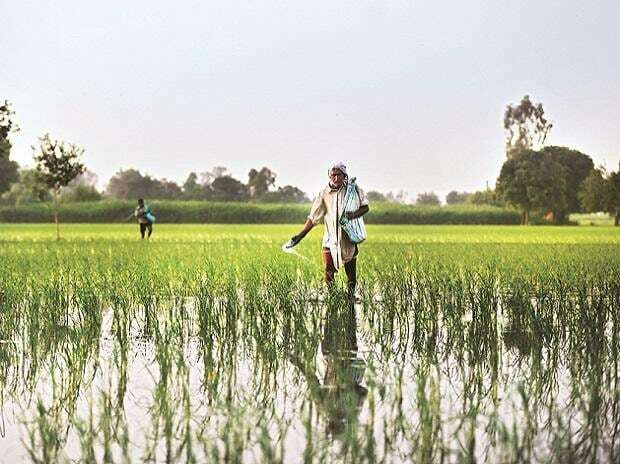 The Central government is, however, confident of rolling out the PM-KISAN and is gearing up to transfer the first tranche of Rs 2,000 to small and marginal farmers before March 31. Experts say it is not clear if this directive is applicable for income transfers made in this financial year. This is so because if this continued for the next year, it might impact the land market in villages and the scheme would be difficult to implement. Improper records could lead to large-scale leakages and pilferage and benefits going to ineligible people, experts said. 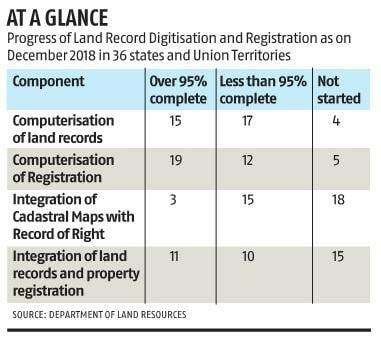 According to the website of the Union government’s Department of Land Resources, over 95 per cent digitisation of land records is complete in 15 states and UTs of the 36 till December last year, while in 17 states and UTs less than 95 per cent of the work is complete. The states with less than 95 per cent of the work done include Assam, Bihar, UP and Punjab. In four states, mostly in the Northeast, the process has not started. Land there is owned by communities and not maintained by state governments. As regards computerising land registrations, the data showed of the 36 states and UTs, over 95 per cent work has been completed in 19 states and UTs, while it is less than 95 per cent in 12 states, including Uttar Pradesh, till December last year. Integrating land records and property registration, according to the Department of Land Resources, is more than 95 per cent complete in 11 states and UTs and less than 95 per cent complete in 10 states and UTs, which again includes UP. This means work hasn’t started in 15 states and UTs. The Union agriculture secretary in his letter to chief secretaries said it was of utmost importance that land records were clear and updated and the state/UT governments were requested to complete updating records expeditiously. It also said farmers whose names appeared in land records as of February 1 would be eligible for the benefit. “Digitisation and updating land records is one challenge and a bigger problem is linking land records with Aadhaar, which is almost nil in most states. Without this it will be difficult to ascertain if the support has reached the correct person,” said T Haque, former chairman of the Commission for Agriculture Costs and Prices and a known expert on land issues. Shiraz Hussain, former agriculture secretary, said it was a good scheme and such a transfer would be possible at least in some districts of every state before March 31.